“Doorknob Five Two” by Fredric Arnold was a surprise package from the beginning. Of the numerous biographies, autobiographies and fictional accounts I’ve read of Jews during WWII, this is the first I’ve seen in which the main character is a Jewish American fighter pilot. The Jewish element in this book appeals to me, since it illustrates a viewpoint on the treatment of Jews during WWII that I’ve not been witness to before. 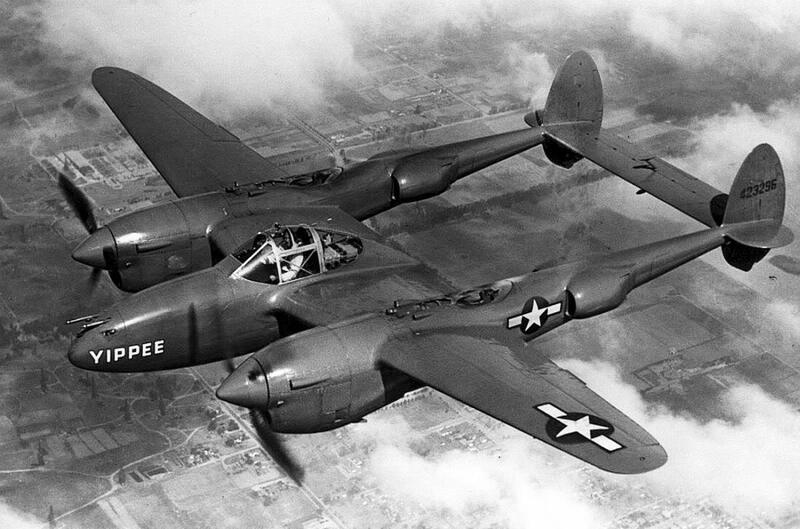 The story begins with Fred Kohn crashing his P-38 behind enemy lines. He’s captured and promptly escapes. The book shifts from his current situation, trying to evade the enemy and return to his unit, to the time before he joined the military and then to his progress through the ranks. The discrimination experienced by Fred Kohn is felt throughout the book. The author does not spare any racial slurs when describing how Fred is targeted by a particular fellow flyer. Before long, Fred’s small victories seem to become the reader’s victories, for haven’t we all known discrimination of some sort? Mr. Arnold weaves a loose autobiographical account of his experiences, along with those of others, during WWII. The words he uses to paint the scenes of flying the P-38 Lightning are pure artistry. 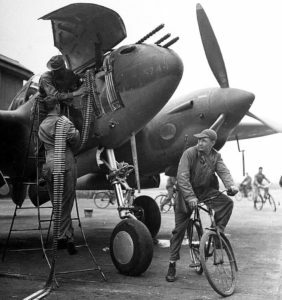 As a reader, I stepped out of that cockpit numerous times right beside Fred, just as hot, soiled and unnerved as he. I huddled for hours with him among dead bodies in enemy territory, terrified for my life. I imagined cutting the toes out of my shoes, ripping my clothing and covering myself with dirt to avoid calling attention to being an American pilot behind enemy lines. This is one of those books that you become part of, and once you’ve finished you thank your lucky stars that you didn’t really have to live it. Several times while reading the book I had to put it down because the descriptions of the horrors of war were astonishing. I felt that some were beyond belief, but then I’ve not been to war and I’ve heard worse tales from modern times. The book was overall either a) brutally honest or b) a little over the top for fiction. But who’s to say? I did some research on Mr. Arnold before I finished the book. I learned that he is currently ninety-one years old and that he has a website, http://www.doorknob52.com/ . I spent some time perusing his website and learned that I, like others, have some of the same issues regarding the authenticity of the scenes in his book. Mr. Arnold eloquently explains on his site that this is a work of “autobiographical fiction,” meaning he has license to write whatever he chooses, whether it’s necessarily true or not. This book was not meant to be a one-hundred-percent-truthful account of Mr. Arnold’s personal experiences. Armed with that information, the rest of the book seemed more enjoyable to me and, strangely, more plausible than it had at first. That being said, I was sorely disappointed with the next-to-last chapter. In this chapter Fred Kohn forms an uneasy alliance with a German pilot named Karl who is flying a disabled plane. Without giving away the ending, I believe that, for fiction’s sake, Mr. Arnold could have treated Karl a little better. I understand that this chapter emphasizes the horrors of war, but I was still disappointed in his treatment of this peripheral character. Arnold makes the reader want to pull for Karl from the moment, chapters earlier, in which he was introduced. I still feel bad for Karl. The last short chapter ties the book up neatly, but it seems somewhat limp after my utmost attention had been held from the book’s beginning. Sadly, all good things must come to an end but I wasn’t ready to read the last word. I love this book. I will read it again when I can slowly savor the words and descriptions, and revisit those scenes Mr. Arnold has painted in my imagination. Just as some things cannot be unseen, others cannot be unread. At times disturbing, this is also an important book in all the ways that matter. I feel privileged to have had a glimpse into America’s past through a man who lived it. “Doorknob Five Two” will always have a place of honor on my bookshelf. Gayle Crowder writes for the Tailwheeler’s Journal when we are lucky enough to feature her work. She is currently building an airplane and flies out of the fascinating little Warf Airport in North Carolina, where she hangs out with her pals, the “Warf Rats”. Thanks for giving us this review, I concur with your enthusiasm. Fred Arnold is also many things other than just writer/pilot. Fred is also a painter, sculptor, stone mason, inventor, businessman, actor, all around nice guy and best of all, I call him my good friend.